We love that Barnebys can offer everything from newly produced ceramics, to 1950s Danish furniture, to fine art to even the very best from the Victorian era. But sometimes our auction houses really outdo themselves. 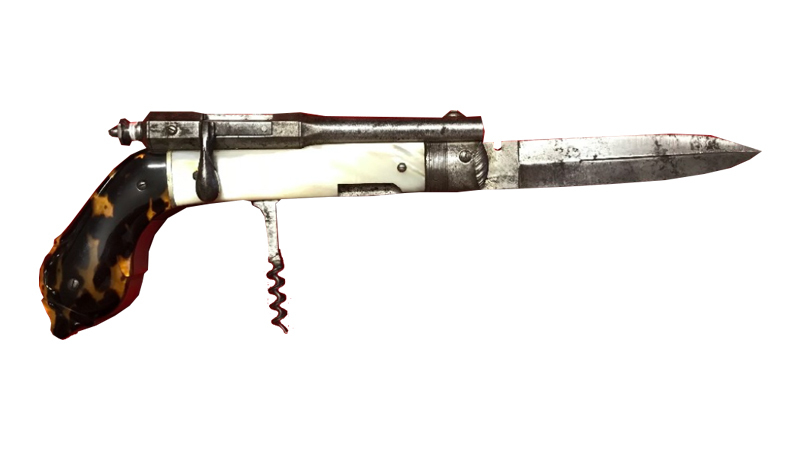 First we have a Corkscrew Pistol Knife. This is a French needle-fire bolt action knife pistol, probably from the 1870s. It is both unusual and interesting as features a single shot pistol attached to the body of a folding pocket knife. A bore is running parallel to the blade and instead of the trigger you have the corkscrew. The corkscrew, which is approximately 11 inches long, comes with a leather case and has an estimate between £5,000-8,000. The next highlight is as exciting as it is useful - a 19th century French picnic set with Moroccan green leather carrying case. 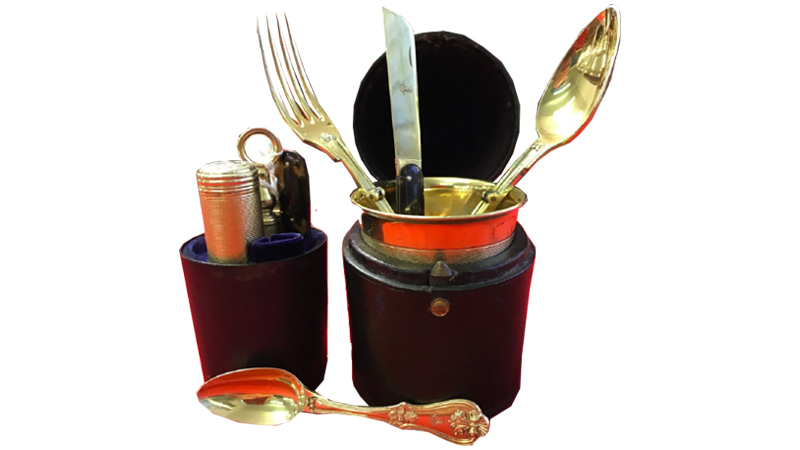 The silver gilt’s internal fittings include a folding knife, fork and spoon, beaker, condiments and, of course, a corkscrew! Perfect for this summer’s picnic adventures. This lot may not be as usable as the rest, but it's just as cool. 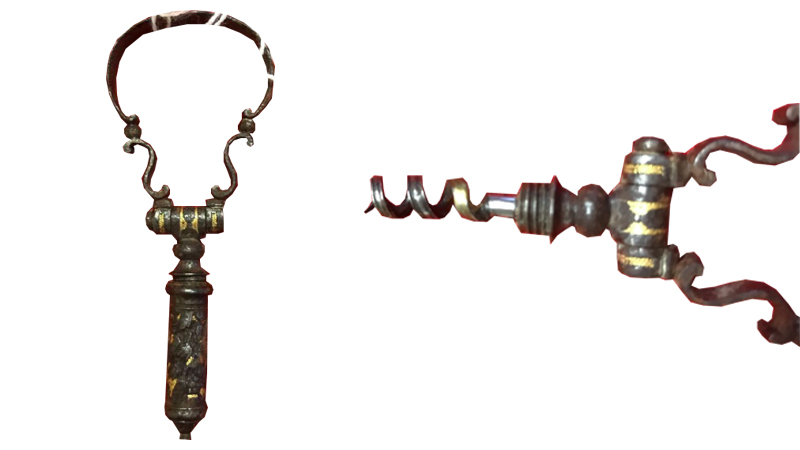 This is an extremely rare French Prion folding corkscrew, from the 17th century. It’s beautiful to look at, but we don’t know if it would manage the cork of your next bottle of red. French Prion folding corkscrew, 17th century. There are a lot more bottle openers to be found at Henry Aldridge, but the house also offers many other treasures. It is now time for jewelry! And this is not just any jewellery - it’s the Jewels of The Duchess of Windsor, Mrs Wallis Simpson who was married to King Edward VIII - uncle to Queen Elizabeth. First we have an onyx pocket watch by Cartier, circa 1936. It is designed as a rectangular onyx plaque with a similarly shaped dial, complete with the cypher of Edward VIII. The winding crown is inscribed with ‘Easter 12/4/36’. Edward VIII who succeeded his father as King on 20th January the same year, spent Easter with Mrs Simpson at Fort Belvedere together with a couple of guests. Today the watch is estimated between £25,000 - 30,000. 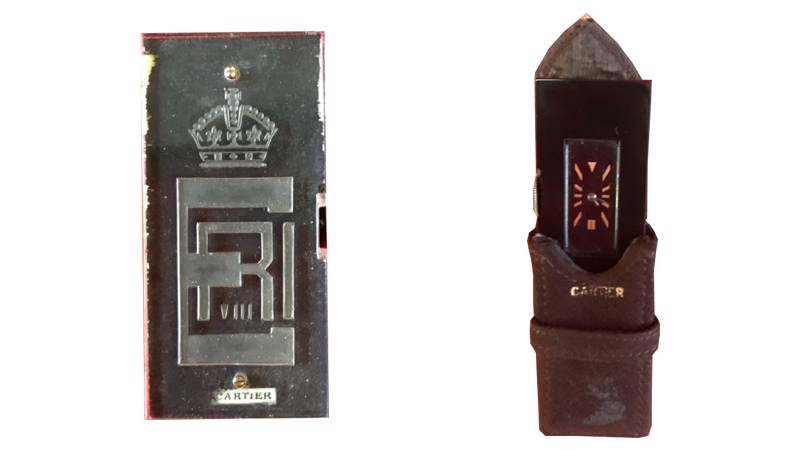 These and many more items of royal descent is available over at Henry Aldridge auction house. Find the entire Henry Aldridge catalogue at Barnebys!